Although I have written about the research on the positive effects of mindfulness and presence in my book and in several articles, today focus is slightly different. I want to address that aspect of mindfulness that is the process of bringing to consciousness what has been unconsciousness as a way to create a deeper understanding of experiences. This article comes out of an opportunity I had to facilitate two sessions at Empty Mountain Sangha, a consensually-organized meditation community. The topic was Mindful Justice: Cultivating the Courage of Radical Compassion. During the workshop we focused on liberating ourselves from the internalized disempowerment we experience in our culture through a process of radical engagement and presence. By doing inner work we create a foundation for outer action that ultimately empowers individuals, groups and communities. Through radical compassion we can cultivate the fundamental love, wholeness, authenticity, and integrity that is the foundation for liberatory relationships with ourselves and those around us. Prior to becoming a parent, my experience facilitating social justice workshops never focused much on ageism or adultism. But this workshop was a great opportunity to incorporate how the roots of oppression and injustice begin with how we view and treat children individually and as a group. Let’s a step back for a moment and consider parenting. When we think of parenting, we often focus on the actions, the relationships, the doing of things as a parent, and the emotions that come along with parenting. Parenting is also an institution, just as marriage is a legal institution, for example. Marriage carries with it historical significance, tradition, and a particular set of values that have significance in society. It is codified in the legal system and it is fought over in politics. Parenting carries those same things. The parent-child relationship is not just an individual relationship. 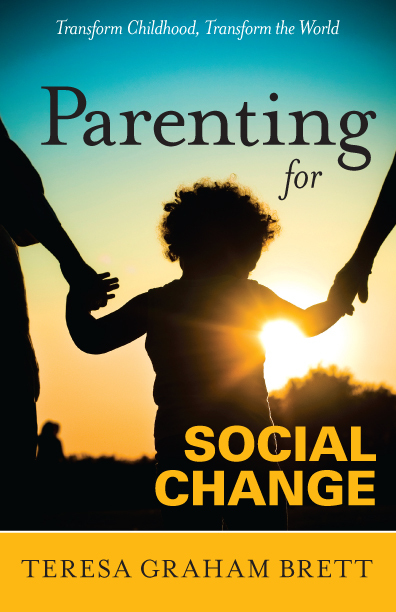 Parenting is also defined by our broader society and it has the same historical significance. Our laws define the responsibilities of parenting and the state or government can step in between the individual parent-child relationship. As a parent, I can see my relationship as just the interactions between a child and myself. But that relationship lives within the larger context of my own individual history and experiences and the broader culture and society in which I live. So what does all of this have to do with mindfulness and radical compassion? If we are redefining adult-child relationships in order to parent from a place of trust and respect, we must bring to consciousness the underpinnings of the institutions that we grew up within. We must also understand how the experiences we had within those institutions (including within the family) created a particular view of how the world works. Our families are reflections of the broader culture as well. A culture based on power and control. Power and control are embedded in almost all of the institutions and systems in our culture, including families, schools, religious institutions, the legal system, and the medical system. They are, for the most part, all based on the top down, hierarchical models that operate from a base of power and control. As individuals grow up in our culture, they are trained within these systems to accept the use of power and control over them. Individuals grow up and take their place in society and take up the work of socializing younger, less powerful members of our social structures to internalize and accept the use of power and control as normal. Fear, ignorance, and shame are the tools used by the more powerful to ensure compliance. The most challenging part about these tools, is that we all had them used on us and we learned how to use them. Because power, control, fear, and shame are so commonplace in the majority of child-adult relationships, they become unremarkable. This is how they become part of our subconscious. We see them as normal. If you are an adult, you have more power over children. And because you (and I) learned that these tools are “normal,” we have to become aware of when and how we might be using them unconsciously. What begins as externally imposed fear and shame, quickly becomes internalized during childhood. Children looking to the adults around them for safety, food, shelter, and love, seek to please those adults in order to survive. Children internalize the ways in which the family, group, and society are structured and conform to those structures. This internalization of shame and fear works to separate individuals from each other. More importantly as individuals are properly trained and socialized in the cultural norms of power and control, they begin to question their inherent goodness and their humanity. How could we not question our humanity and the inherent goodness with which are born? We learn on a daily basis that we are not good enough from adults around us. We are expected to perform others’ expectations or else face judgment from them. The wholeness with which all individuals are born is fractured and replaced systematically with external authority, fear of failure, and the need to do what others expect in order to be cared for and protected (or to feel “safe”). The normalization of the more powerful controlling the less powerful and the use of shame and fear to control creates the foundation from which oppression and discrimination thrive. Even as we seek to reconnect to our wholeness through a practice of mindfulness, we use fear and shame internally to control our own thoughts and behaviors when we deem them unacceptable. We learn that certain parts of ourselves are not “right” or “good,” that they need to be hidden because we were punished as children for showing them. As a side note, when I do these workshops, many people only think of punishment as coming from parents. Punishment against those who do not conform occurs in the majority of institutions, groups and relationships in our culture. Additionally, if we cannot hide parts of ourselves we bear the additional burden of systematic oppression. This discrimination is based not just on our status as children or young people but also based on our gender identity, race, sexual orientation, disability, ethnicity, national origin, and language, for example. Though we may grow up and move into the more powerful role of adult, we still face that oppression based on other identities. A reality for our culture is that we have all faced at least one common experience of oppression and discrimination. And the vast majority of us faced the pain of being treated as less than human. This loss of our humanity, or wholeness, means that we continue to seek love and acceptance outside of ourselves to relieve the pain of the loss of unconditional love in childhood. The common oppression of childhood, of being part of a social identity group that is seen as less than, has created deep shame and emotional harm that continues to haunt us as we grow up. We internalize the oppression of childhood. And we learn to effectively use power over others who are deemed as “less than” in our society. 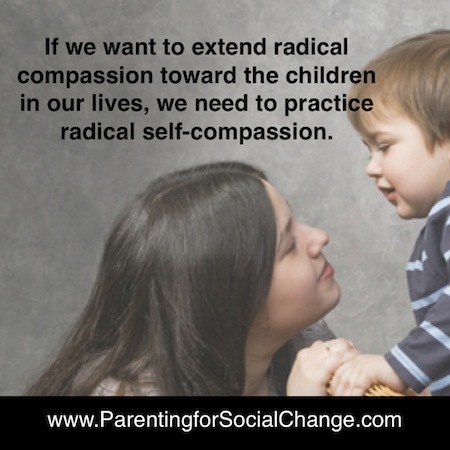 The challenge in our work of mindful parenting and ultimately mindful justice is to cultivate radical compassion. This compassion begins with internal work. It is about creating compassion for ourselves and our experiences, thoughts, behaviors, and beliefs. We can learn acceptance of all the parts of ourselves, even those that were used as weapons of shame and fear against us. We begin with a journey that invites the unconscious to come to consciousness. Those things we have hidden from ourselves, we must be willing to shine the light of day on. We must begin to accept that those things are still with us. Radical compassion, then, begins with the self. So many parents who are committed to trust and respect want to be able to offer radical compassion to the children in their lives. But we will have only limited success if we cannot practice that radical compassion for ourselves. 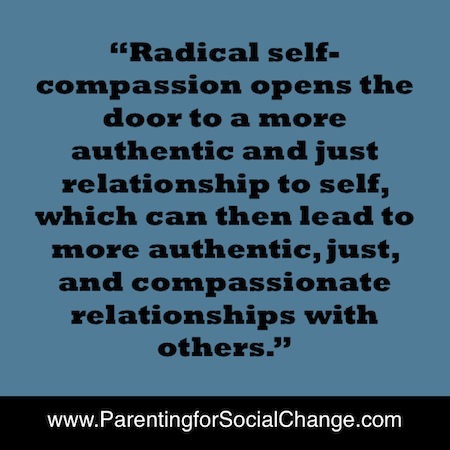 Radical self-compassion opens the door to a more authentic and just relationship to self, which can then lead to more authentic, just, and compassionate relationships with others. As we practice radical compassion it has the ability to lead us to the understanding of the interconnectedness of all the parts of ourselves. The “good” and the “bad.” The enemy within us becomes a friend. The internal process can be externalized to others. Although I spent a lot of time writing about this in the abstract, I want to give a specific example. As children, very few of us were allowed to express anger openly without fear of punishment. 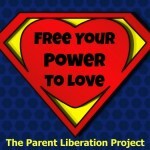 One directive of parenting is to help children gain “mastery” or “control” over their emotions. Terrible twos, tantrums, emotional outbursts, drama. There are many terms or phrases we use to describe a child’s emotions when they make adults uncomfortable. In childhood, we too often learn that anger is a bad thing when we express it. The other way we learn anger is a bad thing is through the behavior of the adults around us. Very few of us have models for how to express anger in ways that aren’t damaging or hurtful. We observed it in the adults around us. Sometimes up close, other times, from a more distant vantage point. We learn to hide from anger as a child. We don’t want to be around adults who are expressing anger in hurtful ways and this “hiding” might physical or emotional. How many of us closed our hearts to avoid the potential hurt and pain of being criticized or scolded by an angry adult? How many of us closed our hearts because the pain of seeing someone else being scolded, criticized or hurt by an adult was too much when we were children? We developed coping mechanisms from our childhoods that helped us to deal with anger. We carry those responses and mechanisms into adulthood and use them over and over. You don’t want to be angry and lash out at children. You know that anger can be damaging, because you experienced it first-hand as a child. You’re afraid of your anger. You don’t want to feel angry. You’re afraid you will act from your anger. So the coping mechanism from childhood is to hide. But it is your own feelings of anger. How do you hide from that? You probably try to push down the feelings. You can’t run away from yourself, so you run away from the anger. You deny the angry feelings. Perhaps you use force and control against the angry feelings. Perhaps you respond to the feelings of anger by eating, “zoning” out, shutting down, or some other coping mechanism learned from childhood. But eventually the anger fights back hard enough to come out. As a parent, when it comes out and you direct it toward the children in your life, it feels pretty horrible. Shame, guilt, sadness, and perhaps other feelings come up. Perhaps you rationalize or justify the way anger came out. Those feelings well up in you after you let anger spill out onto the child. You judge yourself, you punish yourself, and the cycle begins anew. This happens while at the same time you are trying to be a parent who treats children with respect. When you begin a practice of radical self-compassion you are bringing to consciousness all the feelings that you may be hiding from. You are acknowledging their presence within you. You are acknowledging your discomfort with those feelings. By acknowledging the feelings and the coping mechanisms you learned in childhood, you begin to create greater acceptance of all the parts of you. Our previous cultural training often leads us into conflicting emotions about “acceptance.” Acceptance is sometimes viewed as allowing feelings to take control over you, as if feelings are a win-lose proposition. If I accept the anger I feel then the anger wins. Again, this is another coping mechanism we learned growing up in a culture where power and control are the norm. You can think it is about control and power, winning and losing, AND you can wish you didn’t think that. You can know that you have the ability to create radical compassion and acceptance of all the parts of yourself, even when you aren’t feeling radical compassion for yourself. The process of radical compassion is full of contradiction. It isn’t simple and clean. And we can’t control it. We believe we can. Or, at least we believe we should. We try really hard to control it, because it feels safer if we believe we have some control. This false sense of safety is just another manifestation of our frame of reference that comes from childhood where we “learned” the world is based on power and control. All of the emotions we experience are interconnected. The contradictions in our thinking are interconnected. When we can begin to accept all of those things, we can also begin to accept others and their contradictions. Radical compassion with ourselves can then flow outward to others. Let’s go full circle now as we near the end. It takes courage to decide you are willing to bring to consciousness those things you learned to hate or fear within yourself. Consciousness is turning toward and seeing whatever it is you have avoided. When you turn toward what you are afraid of, what you fear within you, you are practicing courage. Courage is not the absence of fear. (Okay. Not original but worth repeating). There are days when I am afraid of what I feel within me. And I struggle mightily to control the fear and the emotions. But when I move internally through my heart and turn toward the fear or anger or whatever, and I let it be there, it begins to release. It is as if I’ve decided that I have the courage to see myself for all the things I thought were “bad” about me. I have been in places where I judge what I feel and think. Rather than rejecting parts of myself or my experiences or my story, I can choose to extend to myself radical compassion. I can choose to see myself for all that I am. We all just want to be seen and understood. We are still the children who weren’t heard or seen or loved unconditionally. We still need those things, just as the children in our lives need those things from us. As we reconstruct our relationships with ourselves through radical self-compassion, we transform the other relationships in our lives. Our internal change is reflected outward.